The use of thermovinification to prevent the negative results of rotten or unripe red grapes has also been applied in South Africa since the seventies. The primary aim was to shorten the period of skin maceration and prevent potential browning as result of rotten grapes. It is however critical that the heating must be emitted as quickly as possible in order to eliminate enzymatic reactions in the juice. Such technology has been improved however and is being further developed. 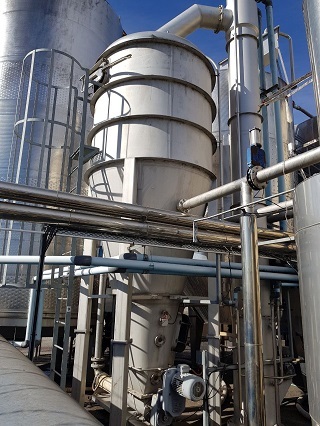 Flash Détente is a thermovinification technology, which was developed in Southern France in 1990 in order to increase the quality of wines made from unripe and rotten grapes and also shorten the fermentation duration. Literally translated it means “Flash Release”, which is exactly what happens with the grapes during the process. The crushed grapes are flash heated to 85°C, whereafter they are transferred to a vacuum chamber, where the berries are cooled quickly. As result of that the berries are ruptured, the colour is liberated from the epidermis cells and the steam which is formed during the process, carries the volatile flavours with. 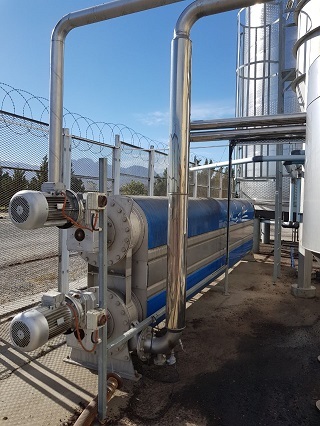 After this heating and cooling process, three components, namely the coloured juice, skins with removed colour and flavours and a condensate containing the flavours, exist. Different options exist regarding the application or further treatment of the components. The juice can be fermented as such, or added back to the skins for further skin maceration to extract more tannins and the flavour condensate can also be added back if desirable or removed if it is undesirable. Although the technology has been used in Europe for almost 15 years, it was only implemented in the USA in 2009. Some of the cellars there use it only for part of the harvest and the motivation for using it differs. It varies from the elimination of the vegetal character in wines made from unripe grapes, the removal of the so-called smoky character as result of wines made from grapes that have been exposed to smoke of veld fires, to the basic aim to improve the colour and flavour of wine. Just like the climate and circumstances differ considerably between the different states of America, different winemakers differ regarding their viewpoints of the technology. Bending Branch Winery in Texas is a great supporter of it. As result of their very hot climate, grapes do not reach optimal ripeness in terms of colour, tannin and flavour development. According to them, Flash Détente can promote the release of anthocyanins, skin tannins and flavour. 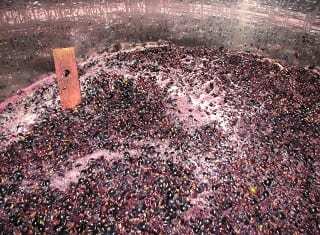 They also found that Tempranillo, Cabernet Sauvignon and Malbec wines made with this technology had 100% more phenols in comparison with the traditional fermentation method. Fermentation space was also saved, less yeast nutrients were required and as result of the heating, the risk of Acetobacter and Brettanomyces spoilage was decreased. Blackstar Farms is in the cool Michigan, where mostly hybrid cultivars are harvested. They often experience insufficient ripeness and poor quality grapes and expect that the new technology will remove the vegetal character from their wines and also improve colour and tannin extraction. Veld fires have increased considerably in California and the smoke spoilage of wines is a volatile flavour, which can be removed. It is obtained by heating the grapes to 80 – 90°C, whereafter they are rapidly cooled to 35°C by a water condenser at a vacuum of 90%. 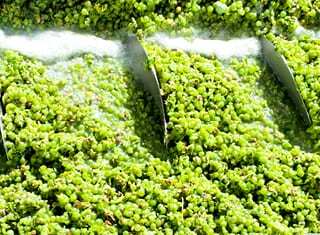 The volatile constituents are removed from the grapes at the high temperature and dissolved in cooled water. The grapes are then processed without the undesirable flavours. Although Flash Détente is mainly used for red grapes, it was also applied to Sauvignon blanc grapes, but too little data regarding these results are available. The risk exists that excessive polyphenols may be extracted in such cases (Goldfarb, 2018). It does appear that Flash Détente can be used successfully if the grapes are, for whatever reason, not of optimal quality. 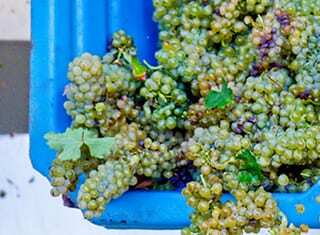 The site characteristics of the grapes will most probably not be retained and it is doubtful whether the technology will be welcomed by the winemakers of premium wines. PHOTO 1. Flash Détente vacuum chamber. PHOTO 2. Flash Détente heating tube. Goldfarb, A., 2018. Flash Détente reaching critical mass. Wine Business Monthly, February 2018: 120 – 124.